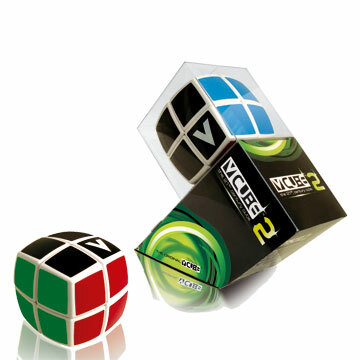 V-Cube 2 is the smallest version of the V-Cube family. 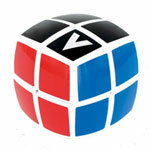 V-Cube 2 has almost 3.7 million possible permutations. It consists of 26 smaller pieces, 8 of them are the visible corners; and the solid cross that supports them, enabling them to rotate independently on based axes.